Domestic violence is an unfortunate problem in our society and, sadly, children are often present while their parents are engaging in domestic violence disputes. In some of those cases, the Division of Child Protection and Permanency receives referrals regarding the family and will initiate an investigation to determine if the children have been abused or neglected or if there are child welfare concerns. If you have been a victim in a domestic violence situation and DCP&P is now involved with your family, you are no doubt dealing with a very stressful time and you should contact an experienced DYFS defense attorney to help you through this difficult time. The DCP&P attorneys at our offices are available to discuss your case and help you defend yourself against allegations of child abuse or neglect resulting from domestic violence in your family throughout Somerset County including in Franklin, Hillsborough, Bridgewater, Somerville, and Bernardsville. Contact our offices now for immediate assistance at (908)-356-6900. The initial consultation is always provided free of charge. Under New Jersey’s child abuse and neglect law, the Appellate Division of the New Jersey Superior Court held that merely being present during an episode of domestic violence does not equate to child abuse or neglect. N.J. Div. of Youth and Family Servs. v. S.S., 372 N.J. Super. 13 (App. Div. 2004). In that case the trial court found that the mother abused or neglected her child because she failed to appreciate the risk of harm posed by her abusive husband. Specifically, the mother fell victim to domestic violence at the hands of the father while their twenty-one month old son was present. The Appellate Division, however, reversed the trial court’s decision because it did not focus on actual or potential physical harm to the child but only the potential harm to the mental or emotional condition of the child resulting from observing the domestic violence. 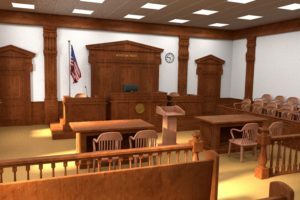 The Appellate Division further explained that the problem with the trial court’s rationale was that it assumed that witnessing domestic violence caused emotional harm, without expert testimony. In fact, the Court stated, “if we could take judicial notice of the fact that domestic violence begets emotional distress or other psychic injuries in child witnesses, we would be less concerned by the court’s conclusion here that the appellant was an abuser. However, we cannot.” The Appellate Court cited to the United State’s Supreme Court holding that harm cannot be presumed in the absence of evidence of its existence or potential. Stanley v. Illinois, 405 U.S. 645 (1972). In other words, without specific evidence presented during the fact-finding trial of how the domestic violence actually or potentially harmed the child, there was not enough evidence to find that the child was abused or neglected merely by being present during a domestic violence incident. Every case presented to the trial court by the Division of Child Protection and Permanency is fact-sensitive and depends on a totality of the circumstances. If you are being investigated by DCP&P or the Division has filed a complaint against you alleging that you abused or neglected your child as a result of domestic violence, you should contact an attorney who understands all of the aspects of New Jersey’s child abuse and neglect laws. The DCP&P defense attorneys at our law firm are fully familiar with New Jersey’s child abuse and neglect law, and they’re ready to help you defend yourself against an allegation of child abuse or neglect. In addition, if you are facing allegations of domestic violence or you are a victim of domestic violence, the restraining order attorneys at the firm can assist you with either obtaining a restraining order or defending you against a Final Restraining Order.